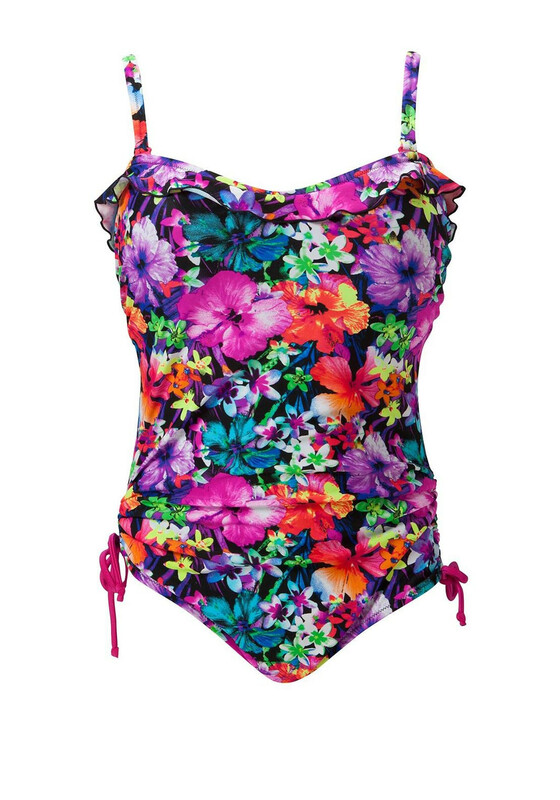 This stunning Polynesia Control swimsuit is a favourite and is sure to get you noticed at the pool, beach or on cruise. The Pour Moi piece has an all over beautiful floral print, lined cups, removable straps and fabulous frill detailing. The adjustable tie sides guarantee the perfect ruched fit.